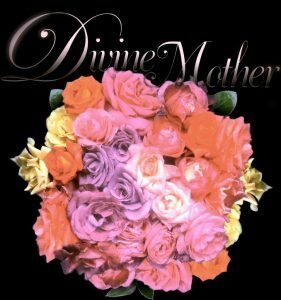 On this Day of the Mother, I remember my beloved Mother, and on a global level honor our Eternal Divine Mother; the sacred feminine, source of all power and creation. In Yoga, Shakti is the concept and personification of this divine feminine creative power. The Great Divine Mother in Hinduism. Shakti is Creation, change, cosmic existence and liberation. She is in a constant state of Svātantrya, interdependent with Creation itself. Spring’s abundance and growth can be represented by another deity of the Hindu pantheon, Lakshmi, auspicious Goddess of abundance, courage, fertility, generosity, light, wisdom and prosperity (material & spiritual). She embodies beauty, grace, charm and good luck. Lakshmi लक्ष्मी derived from Sanskrit “Lakshay” – “aim” or ”goal”. Lakshmi is Mother of peace and illumination, and only with her grace can we find inner peace and perennial joy.The sacred Vedas refer to her as the one who has the object and aim of uplifting mankind. A Mother who creates, nurtures and supports. Goddess Lakshmi is the consort and Shakti, or potency of Lord Vishnu and provides wealth for the maintenance and preservation of Creation. The image of Lakshmi on a lotus, with golden coins flowing endlessly, symbolises the blossoming and blessings of wisdom and the good fortune and noble qualities that come with it. Goddess Lakshmi is the abundance of life, including all worldly and spiritual success. She sits on an open lotus, seat of divine truth, filled with an aura of divine happiness, with mental and spiritual satisfaction. Lakshmi has four hands representing the four ends of human life, Dharma (righteousness and duty), Kama (sensual desires), Artha (wealth), and Moksha (liberation) from the cycle of birth and death. She holds lotus bud in two hands, which are Beauty, Purity, Spirituality and Fertility. Elephants are often shown spraying water, representing material and spiritual prosperity of wisdom and purity. The sacred name of Lakshmi is “Shri“, and written or verbal, Shri suggests the presence of goddess Lakshmi. It is spoken before addressing a God, or any revered individual. Shri evokes grace, affluence, abundance, authority and auspiciousness. Shri is associated with material life, as ”Om” is associated with the spiritual life. Lakshmi has many names, and as she is associated with the lotus, many epithets are connected with the flower. Maha Lakshmi is also known as ”Laxmi”. wishing you a Divine Mothers Day! for befitting all beings in her boundless world. found you in the y is for yogini blog. thank you for an in depth look into sweet, amazing shakti! What a wonderful post! Shakti and Lakshmi have taught me much about freeing the divine force within you, and about tuning in to the abundance in life. Your images and words here are beautiful. Thank you so much for sharing this with me on Twitter.